We all love investing in apps that offer more features for limited prices. Business owners usually want options that minimize cost and increase productivity or profits etc. Hence, it is necessary to use a spy app for android that is both affordable and has the most useful features for a corporate setting. Here is a list of the three best spy apps for Android users in corporate settings. Surely, this article will help you choose the best one while keeping your budget in check! Xnspy is compatible spy app for Android with different versions of Android devices, not just smartphones. It is compatible with OS versions 2.3.x, 3.x., 4.x, 5.x, and 6.x. 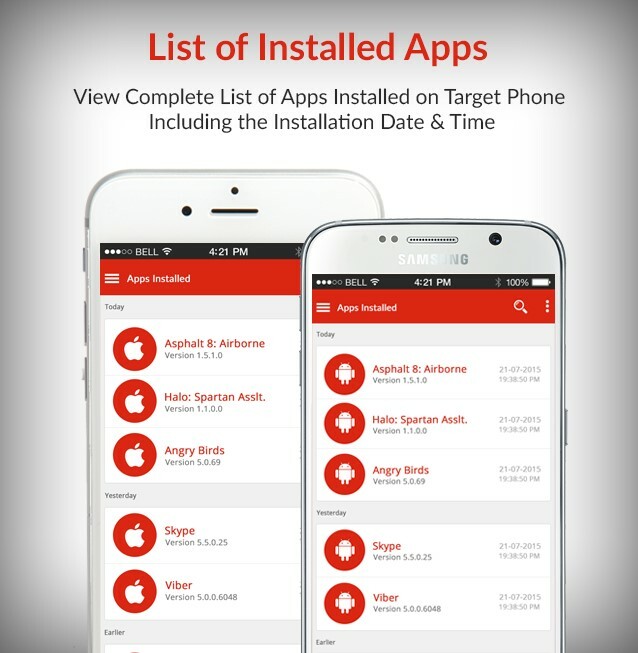 It is a browser-based app, which means that users have to install it on the target device. Installing the app is easy and a simple three-step process: Subscribe, download, and activate! Once they set it up and activate it, they can access the features it offers on the dashboard in a personal control panel. Once the users subscribe to the app, they get a personal user account. The design of the app is specific for stealth. Once users activate the app on a target device, it vanishes and becomes undetectable. While users screen various activities on the target device and remotely control it, no one would suspect. It has a free demo on its site, which allows users to get a feel of the app before subscribing to it. It is available for iOS devices too. The features it offers makes it extremely useful for preventing espionage at a workplace. It is also useful for preventing time mismanagement. The app has a user-friendly web interface. Access to all the features is very easy. Users get a personal account to access the control panel. The features are on the dashboard and provide all the information that you need, with a click. Features this app offers can help business owners keep employees in check, protect their company secrets, filter disloyal employees, and improve productivity and time management. It includes text monitoring email access via Gmail app, access to call logs and access to various IM Chats. You can see all incoming and outgoing messages and multimedia files via WhatsApp, Skype, Viber, Line, Facebook Messenger, and KIK. Xnspy allows you to block unwanted installed apps remotely. You can also check the GPS location of the target device and person holding it, and receive alerts for specific watchlisted features in the app. You can block unwanted apps, check browser history, and record calls. Or You can turn on the recorder to record ambient discussions in the surroundings of the phone. Also, You can monitor social media activity on Tinder and Instagram. You can watchlist words used in emails and SMS, watchlist contacts in emails and phonebook, and watchlist places. Whenever there is watchlisted activity the app sends you SMS or email alerts. You can also access the calendar to see entries and schedules. You can remotely turn on the recorder, take screenshots, lock the device, or in extreme cases wipe of all data to protect sensitive information from falling into wrong hands. It comes with a lifetime of free upgrades. It costs only $8.33 per month. Users can choose between monthly, quarterly, and annual subscriptions. Auto Forward is more of an extractor. It retrieves information on any target device, so you can access all kinds of information it has. Installing this app is also a three-step process like Xnspy. 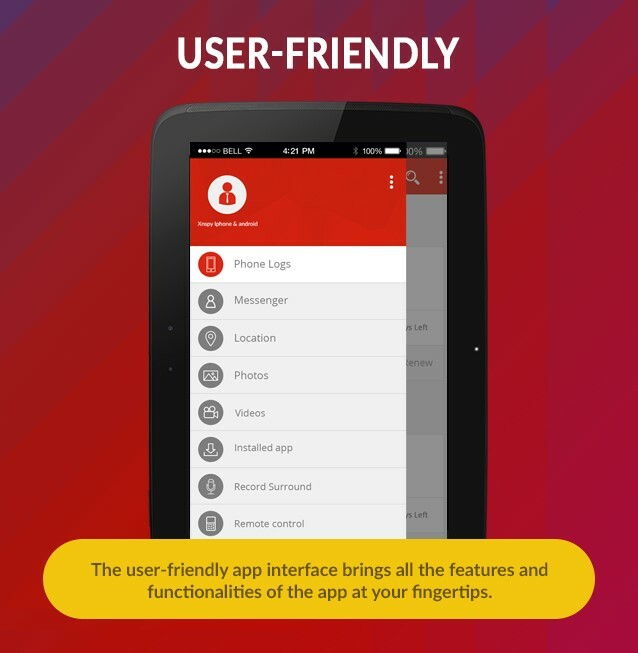 Once you download, setup, and activate the app, you can access the different features it offers. It has a convenient web interface too. Using the app is quite simplified, comfortable, and easy to use. You can access messages on texts, WhatsApp, Viber, We Chat, and Kik. You can check call history, location history, voice mail, and contacts in the phone book. It records calls too and tracks GPS locations. Also, don’t forget to check out mobile tracker on GadgetCouncil. You can also access photos and videos stored on the device and gain access to the PIN restrictions and other data. You can also access the calendar and Notes on the target device. It also works with a browser-based panel, which you can access. You can download the free trial of the app if you want to explore it before subscribing to it. It is available for iOS devices too. It is second best with rating 4/5 in this list because, in comparison with Xnspy, it offers lesser features and is more expensive. However, it is useful for people who want to prevent espionage at a workplace. It costs $69.99/month and comes with a lifetime of free upgrades too. Some employees have the habit of using the company-issued devices for personal use. Worse, they use the network and make personal calls without hesitation while the employer bears excess costs. In order to keep a check on certain employees, you will want to keep a check on running apps. Installing the app is easy. Just hit the download button on Google Play store and download it. Once you pay for it, you will receive an activation code. The user interface is not as simple and requires some technical expertise. 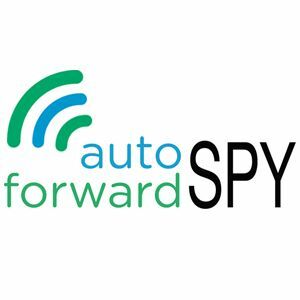 This makes the app specific to people who have enough experience with spying apps and setting them up on a target device. The app is new and no one has rated it before now. It is appropriate for mature audiences who can use the features it offers maturely in a strictly corporate environment. Sadly, there is no demo or free version, so users must invest in this one wisely. Its features allow you to see which services are running on the target device. You can also look out for any intruder apps in your system. It has the capacity to scan the whole phone to find suspicious applications that may facilitate corporate espionage. So, it offers just three useful features; access to apps installed looks out for an interceptor and scans the phone for suspicious apps. It costs about $2.50 per month, which is fair enough for the features and usability it offers. The winner & the best spy app for android is Xnspy! It offers far more useful features than any other apps and that too at the most reasonable and affordable price. In terms of the value of an app, it must be worth the money that you invest. Don’t forget to share this with your friends and get subscribed ASAP to receive content like this to your inbox. thank you for sharing this wonderful information about Android spy apps. Here I am getting the perfect information and features of spy apps. I am definitely going to try x n spy app. I need an app to use without need of target mobile phone , it’s available? Hello Basha, I didn’t understand you. What are you looking for? That is pure hacking and is not legal. You will have to hire a professional to do that. No app can do that for you.